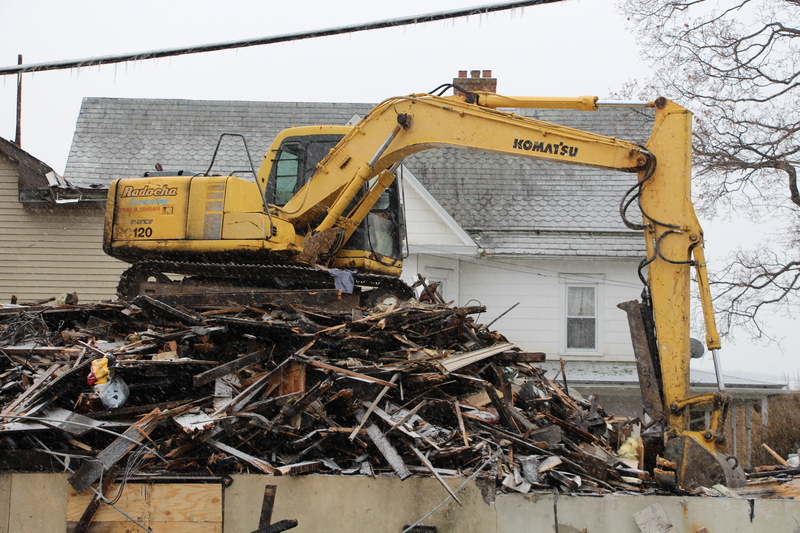 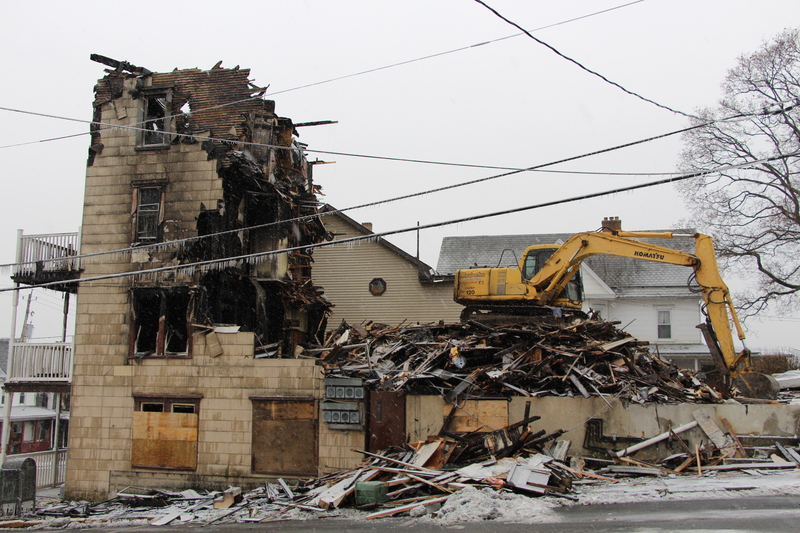 A demolition crew with Peter J. Radocha & Sons Inc. is almost finished with demolition of an apartment building in Lehighton after two fires occurred there. 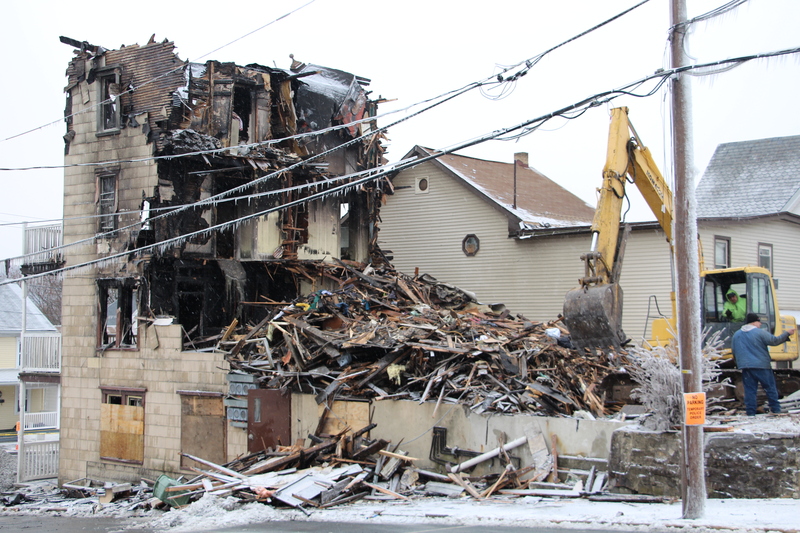 Once the building (256 North Second Street) is leveled, workers with Lehighton Light & Power Department will work to restore power to a number of homes that are still without power. 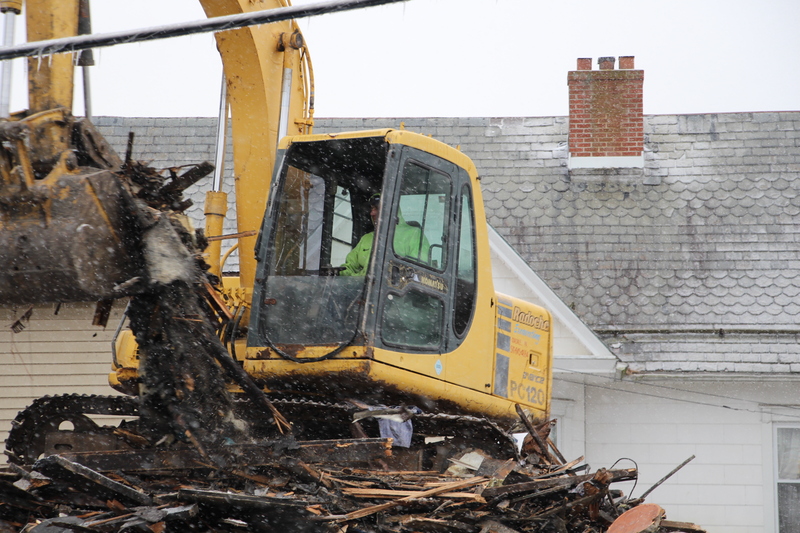 The demolition crew will remove the debris over the next few days. 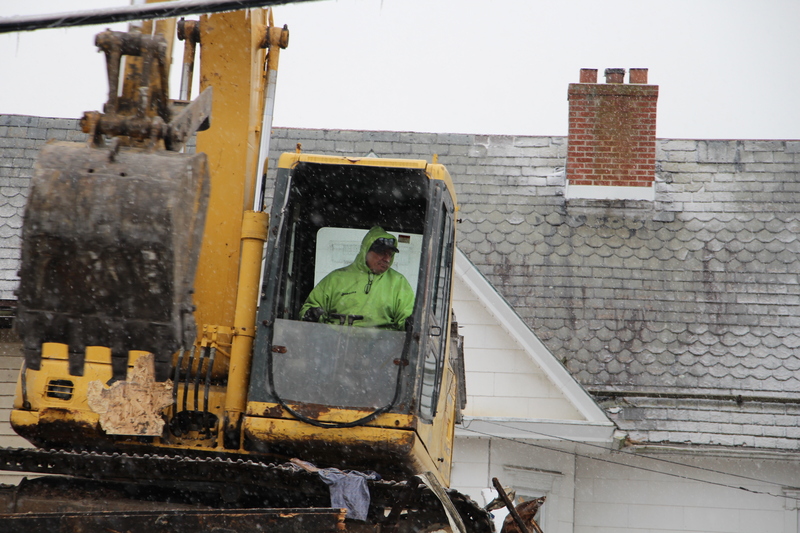 Click HERE to view earlier story. 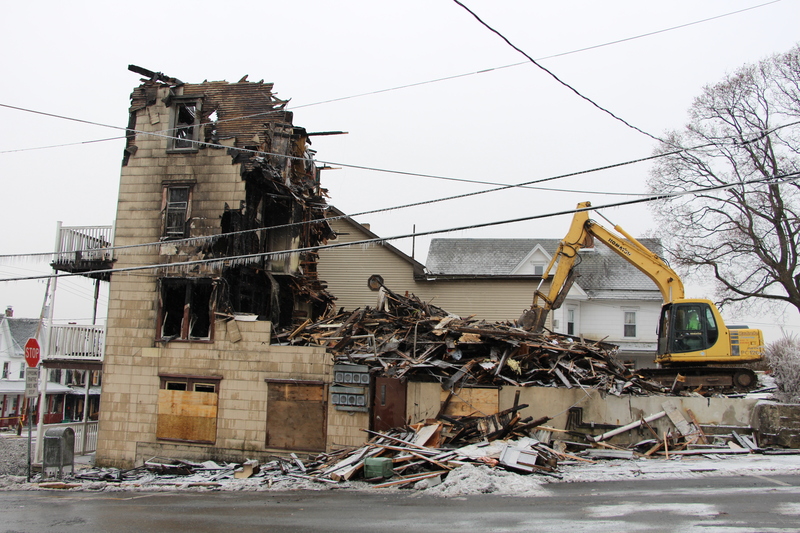 Click HERE to view later story.